Daniel began his real estate career in 2011 when he noticed a need with in his community. Many were suffering from the aftermath of the recession and were facing foreclosure. With a background in service as Youth Director at a local church, he was called to help. Since then Daniel has built his business around customer service. Staying true to this mission has earned Daniel the title as the Number 1 Hispanic Real Estate Agent by NAHREP. He is also listed in the Top 25 Arizona Agents for Volume, and Top 250 in the Nation by the Wall Street Journal for the last 3 years running. One of the greatest honors he has received was being inducted into the My Home Group Hall of Fame, where he has been an agent for the last 5 years. When Daniel is not serving the community he is spending time with his wife and 2 young boys. Engineer by training, Marketer by experience, and Salesman by heart. I graduated with an Engineering degree from Arizona State University. Worked for Procter & Gamble 8 years as Brand Manager overseeing Charmin, Oral-B, and Crest in the USA, Panama, and Mexico. I lived 3 years in Central America, 3 years in Mexico, and 2 years ago, moved back to Phoenix to work for Henkel, managing Purex Laundry Detergents. My heart has always been in Real Estate and I'm extremely excited to be back . I love writing, reading, dancing, playing sports and I'm passionate about traveling. I'm a proud Phoenician!! Born, and raised! Graduated from North High School in Phoenix, I have definitely seen Arizona grow into the state it is now, and still growing!  I come from a family of Realtors and Investors, who have taught me many great ways to negotiate great deals, and also to get my hands dirty by physically working on our own investment properties. Being fluent in English and Spanish, has allowed me to help many families with the Purchase of their new home, and or Re-sale. My goal for each client is to ensure they experience a smooth and stress free transaction. Our team will always go the extra mile, and will always put our Client's best interest first to make sure their Home transaction closes smoothly!